Are you going home to have coffee on your own? This is the question we are asking people in our local area. 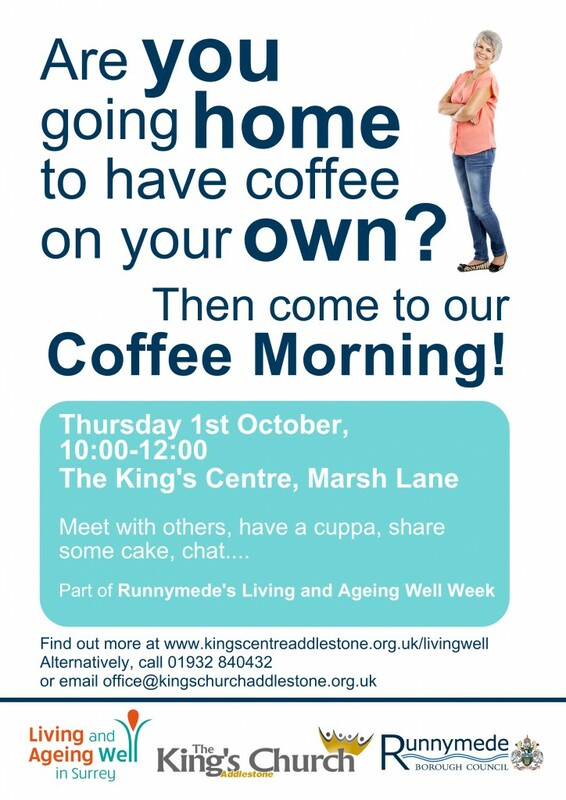 If the answer is yes then we’d love to to invite you to our coffee morning on the 1st October, 10:00-12:00. If you are on your own then come and join us for a cuppa, some cake and a chat. ← Previous Previous post: Job Club officially opening soon!